I have terrible toothache at the moment. I wouldn’t normally bore you all with my medical issues but I’m trying to find a reason for my lacklustre reaction to this week’s episode. Maybe I’m just being a great big grumpypants. Either that, or this whole mystery element is gelling. For example, what on earth (or indeed, in space) could the Dr’s name be that would have that shocking an effect if revealed? And why build Clara up into a huge unfathomable puzzle and then keep reiterating that she’s just a normal human? I have a horrible feeling that Moffat may have overreached himself with this series arc, but we shall see. First of all, there is more running in corridors to get through. Now, I don’t mean to be a spoilsport and I know that running down corridors is a Doctor Who trope but...does anyone else ever think: couldn’t afford a bigger set, huh? There is only so much even the greatest of actors can do with a bit of running, sliding and scared expressions. Although the scenes on the bridge were very poignant, particularly the horrible moment when I cottoned just before Clara that the strange burning creatures were Clara etc from the near future. Previous to that, when we hadn’t seen them close up, I thought they might have been an early incarnation of the Torchwood weevils. 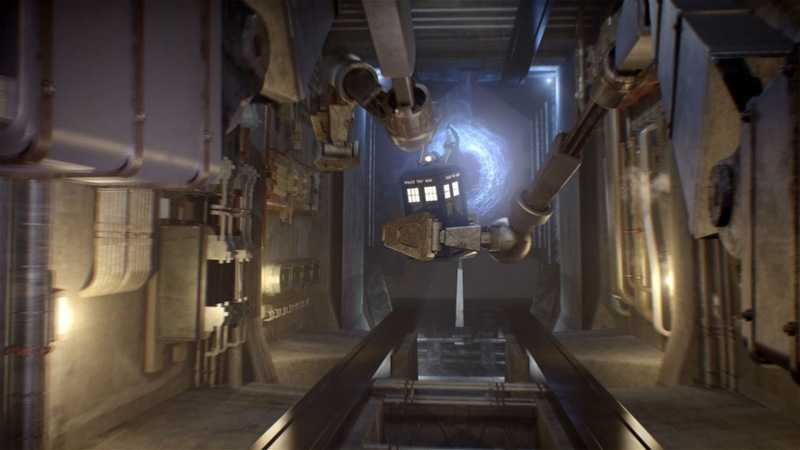 As for the rest of the TARDIS, well we got a blink and you’ll miss it glimpse of the swimming pool which was distinctly ordinary and then a phenomenal CGI library. Which really was impressive and, dare I say it, mildly Harry Potterish. I hope that isn’t the last we’ve seen of the library; of course the TARDIS can redesign itself so maybe it’ll be completely different. I also rather liked the room that seemed to be from a castle, complete with its own little model TARDIS. I don’t think this is the case, but I would have liked it to have been an original model of the set. Another nice little touch was the Dr’s engine key, carved with ‘SMITHS’, now if this wasn’t a reference to Matt Smith being the current Dr I shall eat my fez. The salvage team were brothers, and at the end their father had magically reappeared in their photo. The power of fatherhood features strongly in the Moffat-era, is this a clue? 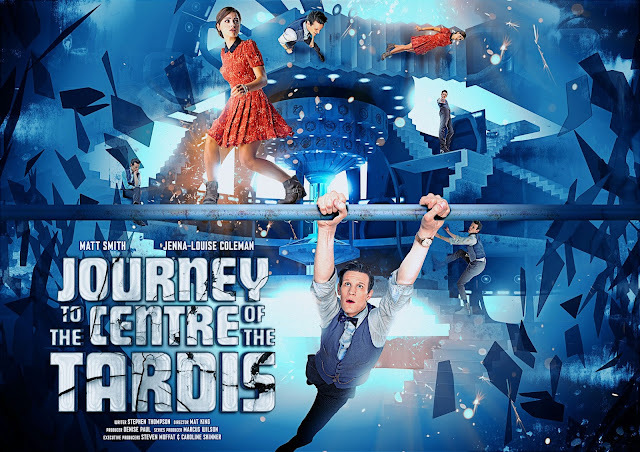 Why does Clara feel so safe with the Dr, why trust a self-confessed madman with a spaceship? What happened to Clara’s father again? Is he still alive? How exciting is it that everyone’s favourite inter-species lesbian crime-fighting duo are back next week? !